A large number of persons belonging to religious minorities protested outside the National Press Club (NPC) and demanded electoral reforms so that minorities in the country could get equal rights. 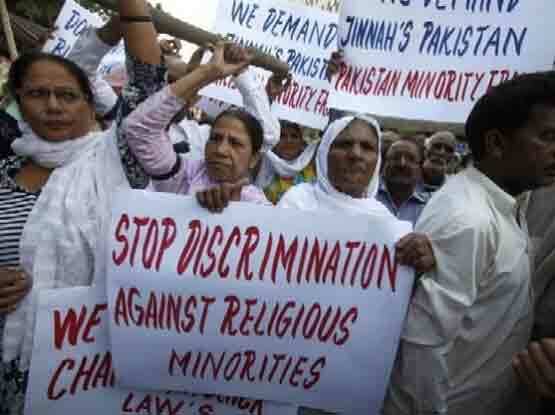 The protest was arranged by the Pakistan Minorities Alliance (PMA). The protestors demanded that the bar on a minority citizen from becoming the country’s president or prime minister (PM) should be lifted. “We should be given the right of dual voting so that we can elect our representatives to address our issues,” he added.